As part of its briefing, Presidio argued that one of ATC's patents, U.S. Patent No. 6,922,879 ("the '879 patent"), was invalid. But the '879 patent was already cancelled in its entirety by the U.S. Patent and Trial Appeal Board ("PTAB") as part of an inter partes review. ATC argued that this issue was moot, but Presidio insisted that there was still an actual controversy on invalidity because it was relevant to its allegation that ATC "knew" that the patent was invalid "because their own products anticipated those claims," and thereupon, brought the suit in "bad faith." The Court rejected Presidio's argument, finding that the question of invalidity of the '879 patent was indeed moot in light of the PTAB decision. While the Court denied Presidio's motion for summary judgment, it dismissed sua sponte ATC's claims of infringement relating to the '879 patent since "[w]hen a patent is cancelled, suits based on it must be dismissed." The Court also made clear that its decision was without prejudice to Presidio's ability to raise arguments relating to ATC's bad faith. The Court also sua sponte raised a claim term for construction: "termination." 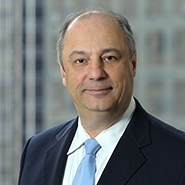 While both parties had stipulated in the claim construction proceedings that "termination" should have its "plain and ordinary meaning," the Court noted that "the parties' briefing makes clear that the proper construction of 'termination' is critically important to, if not dispositive of" the issue of infringement. Rather than allowing the parties to "put the proverbial cart, i.e., determining whether the accused products practice a limitation, before the horse, i.e., properly construing that limitation," the Court reserved ruling on the issue of infringement and directed the parties to submit positions on the correct construction for the claim term "termination." Case: American Technical Ceramics Corp., et al. v. Presidio Components, Inc., No. 14 Civ. 6544 (KAM) (GRB) (E.D.N.Y. March 27, 2018).